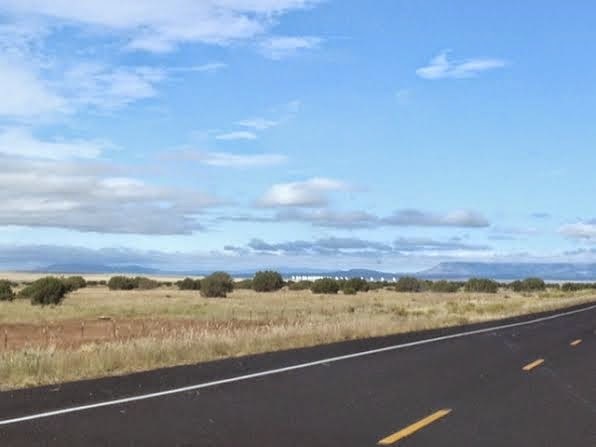 Here in New Mexico, where the roads are empty and the sky goes on forever, we don't mind doing a bit of driving. 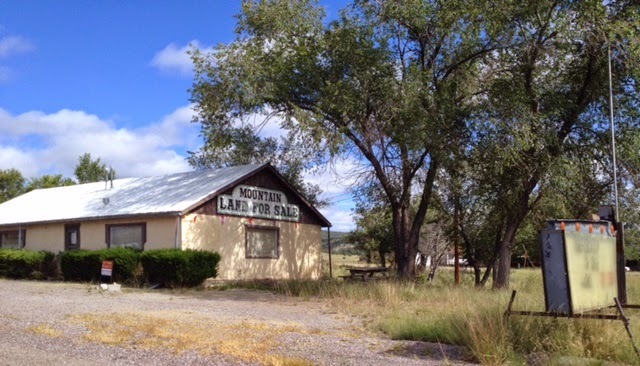 In fact, we have been known to drive 150 miles each way to eat a green chile cheeseburger at the Owl Bar and Cafe in San Antonio (New Mexico). You can watch a short video about the Owl here. You can almost smell those burgers cooking. When this year's Pie Festival in Pie Town came around, we decided that it was time to drive for pie. From our house to Pie Town is about 225 miles one way. 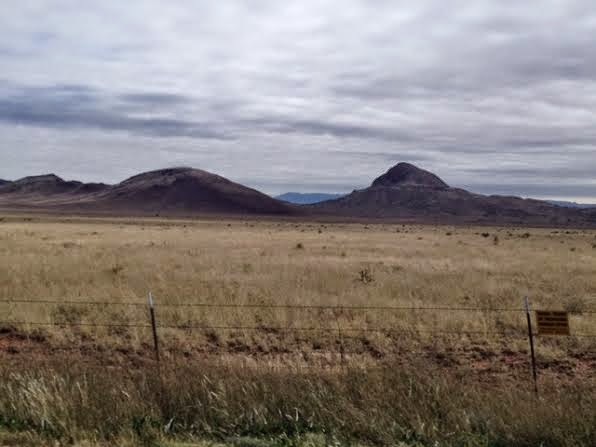 Along the way, we saw volcanic-looking pokey mountains. 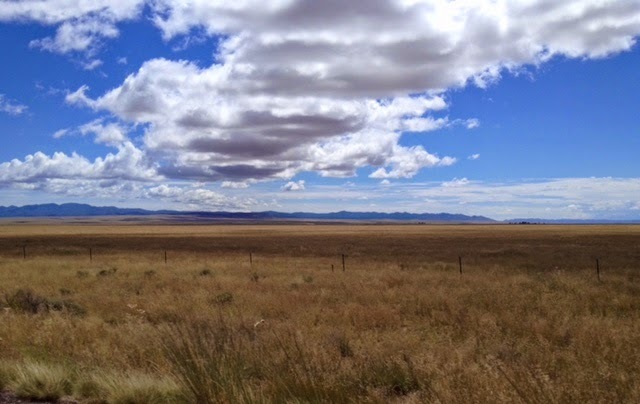 Up in the Plains of San Augustin, we could just make out the Very Large Array off in the distance. It's the gigantic astronomical radio observatory that you might remember from the Jodie Foster movie, Contact. Then the landscape changed, and we drove through pine forests and piñon-studded hills. The town of Magdalena always sets me to dreaming about living the rural life. There are plenty of fixer-uppers available. 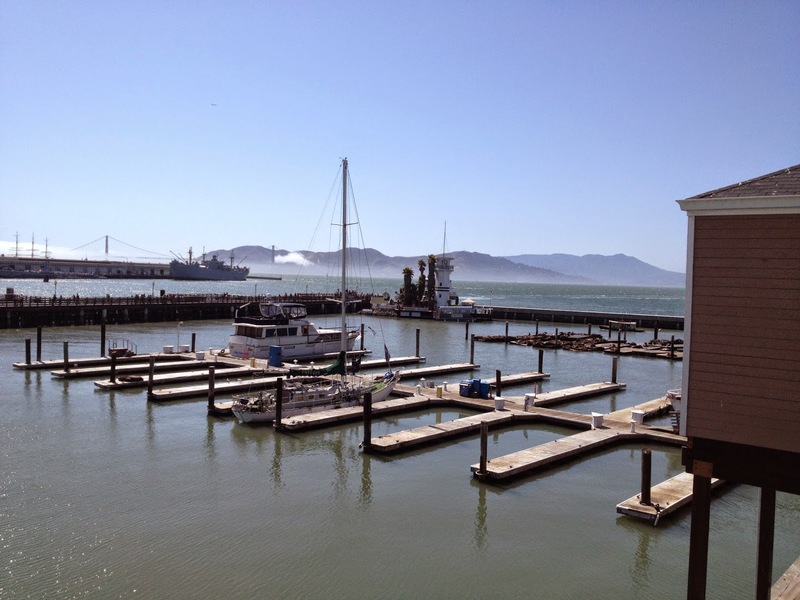 If rehabbing isn't something that suits your fancy, there is land for sale, too. Finally, just as our hunger pangs were starting up, we got to Pie Town, which is actually an unincorporated community with a population somewhere under 200. 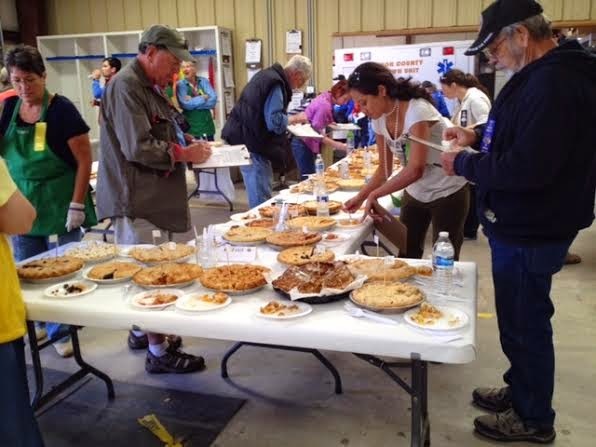 Their Pie Festival reminds me of our old life in a small New Hampshire town, where everyone pitches in year round, planning and organizing an annual event to raise money for the community. 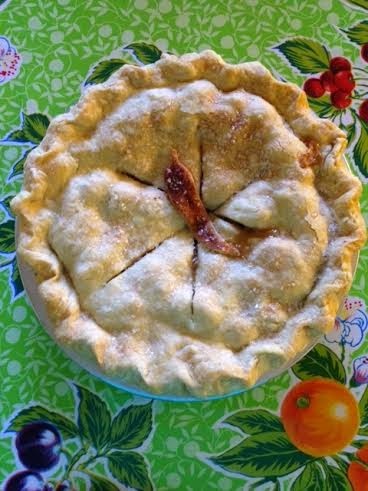 According to the Pie Town Community Council Pie Festival web page, The Pie Town Annual Pie Festival includes a pie-baking contest, games and races, music, food, arts and crafts, and pie, pie, pie. Admission is free and parking is easy. The festival is held in Jackson Park each year and is a great opportunity to visit with friends, both old and new. The pies smelled so good. The judging was so serious. We didn't eat pie while we were there, but we bought three frozen ones to take home from the Pie-O-Neer Cafe. We did, however, have some fresh Navajo tacos that were made up by a quiet Navajo family. They fried the bread on a very primitive and homemade-looking stove that they had brought along with them. With the simplest of equipment, they produced the most delicious of meals! ...and the pie was gorgeous. This is a New Mexico Apple Pie, which contains crisp apples, a touch of green chile (yes, it does), and some crunchy piñons; all garnished with a chile cut out of pastry. You can't get a pie like that anywhere but here in New Mexico in Pie Town. See you there next year. 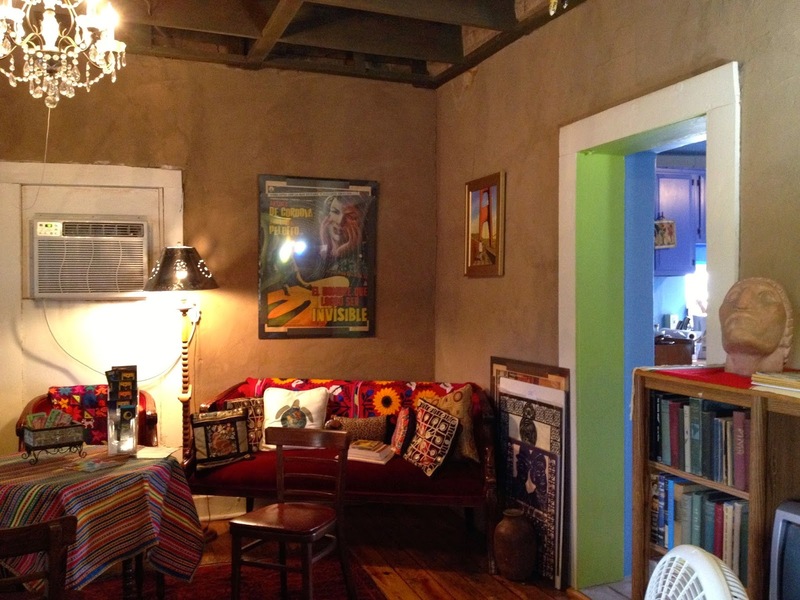 Casa Camino Real, located in an adobe building dating back to the 1800s, is a bookstore. It is also the latest home to the Border Book Festival, which is a vibrant part of the Las Cruces multicultural community. From their web page: [The annual Border Book Festival has] brought over 8,000 writers, filmmakers, storytellers and multi-genre artists to audiences of all ages and backgrounds to share their, talent, stories and art. At the core of all our work is the belief that Art does indeed Heal Lives. We visited the Casa a few weeks ago. 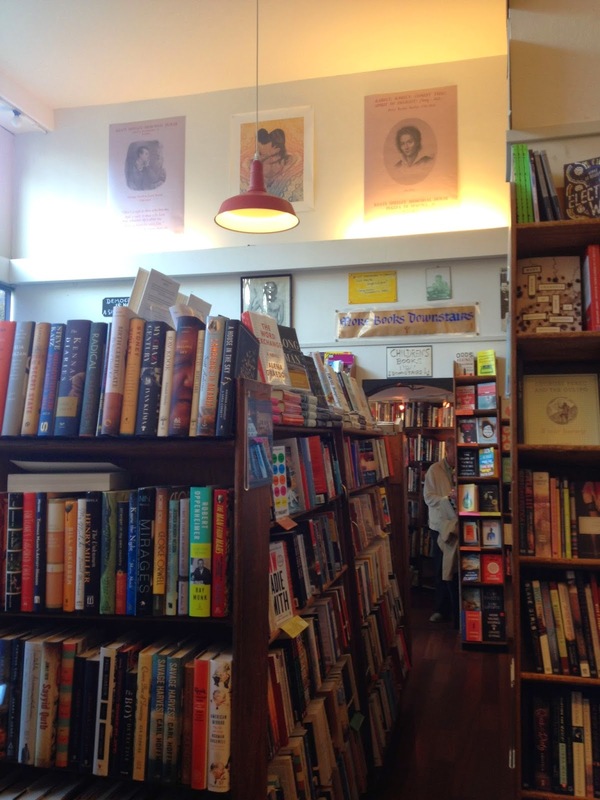 It's not like just going to a bookstore, although the book, art, and music selection is both exciting and esoteric. Going to the Casa is an unforgettable experience. Our visit was a party for our senses. 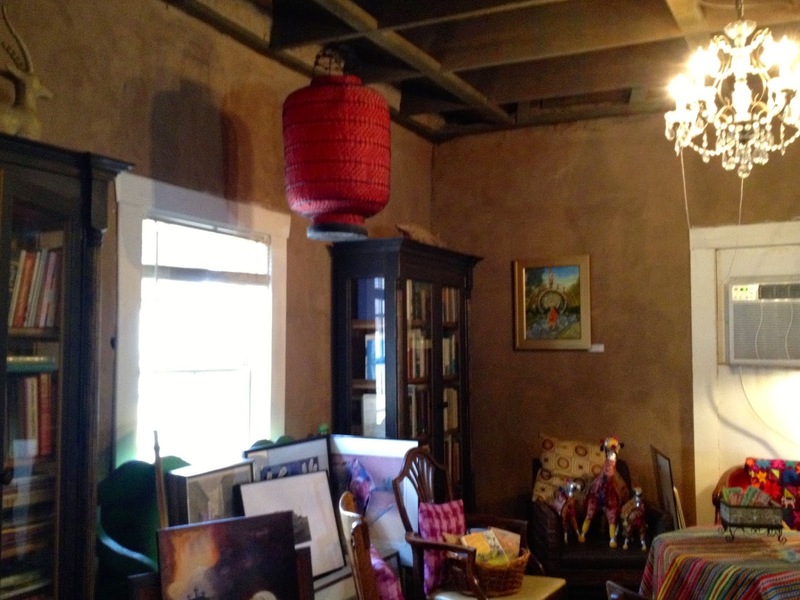 The rooms were filled with color, art, and textiles. There were good smells coming from the kitchen and some bouncy, nostalgic music was playing. 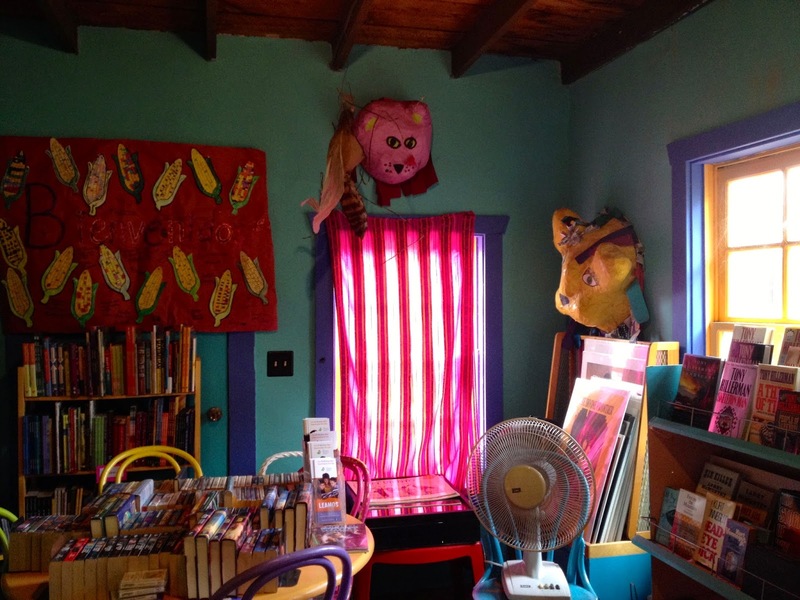 Of course, the most colorful part of any visit to the Casa is meeting with Denise Chavez. She is an author, playwright, actor, teacher, a community and cultural advocate, and more. That description just begins to tell about Denise; to have a conversation with her is hypnotic, exciting, thought-provoking, and always memorable. You can read a brief interview with her here, another here, and a biography with lists of her works here. 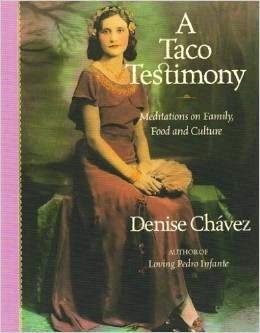 I had just finished reading her book Taco Testimony; Meditations on Food, Family, and Culture. Although I felt rather shy about doing so, it was a great honor to sit down with Denise in the living room of the Casa and discuss her book, her memories about growing up in Las Cruces, and her thoughts about the intertwined cultures to be found here in the Borderlands. Read a little more about Taco Testimony here. 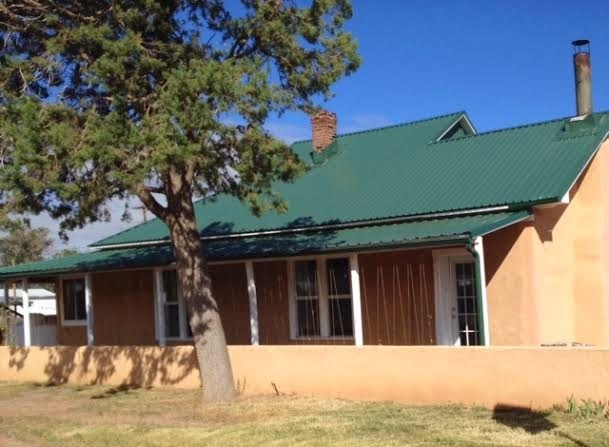 For a real treat, watch and listen to this video as Denise talks about her book at the previous location of the Border Book Festival headquarters in the old Frietze grocery store in the nearby town of Mesilla. When we left with our arms full of books, some in English and some in Spanish, some that we had bought and some that were gifts, we believed we were ready to read whole novels in Spanish. Why? Because that hypnotic Denise had told us that we could do so, and we believed her. 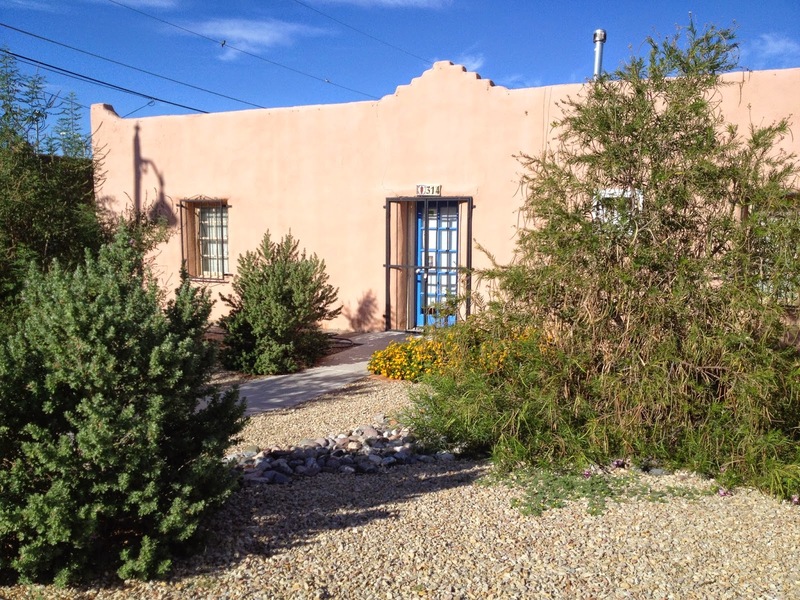 The Casa Camino Real is located at 314 South Tornillo St., Las Cruces, NM 88001. The phone number is 575-523-3988. Call for the bookstore hours (mostly open on weekends). See Part 1 of this adventure here. 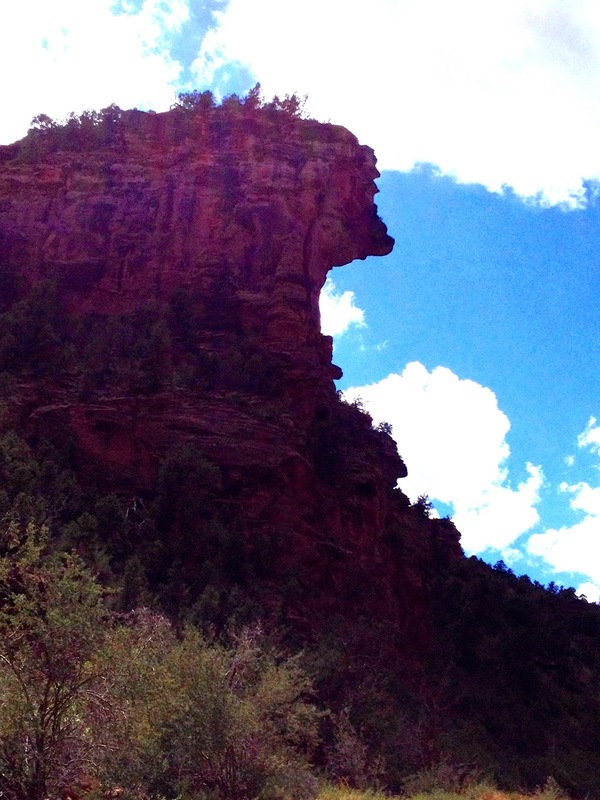 After our lunch at the Gateway Canyons Resort in Gateway, Colorado, we started up John Brown Canyon. I had heard so much about this part of the mountain biking trip, and everything I heard was true. It was grueling, it was all uphill, and it was exhausting. And this was taking the ride in the comfy passenger seat of our Prius, and I didn't even have to drive! This was the view at the top, or what I thought was the top of the road. 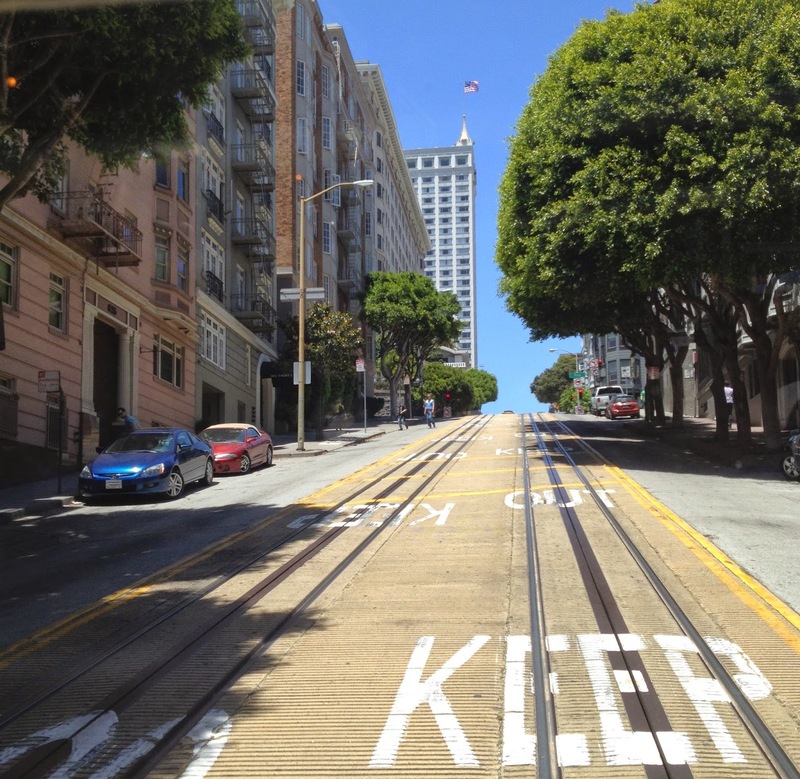 As Beez pointed out, though, the road just never stopped going up, up, and up some more. This is the little car that could. This shot is to give you the sense of the immense drop-off on the side of the road. 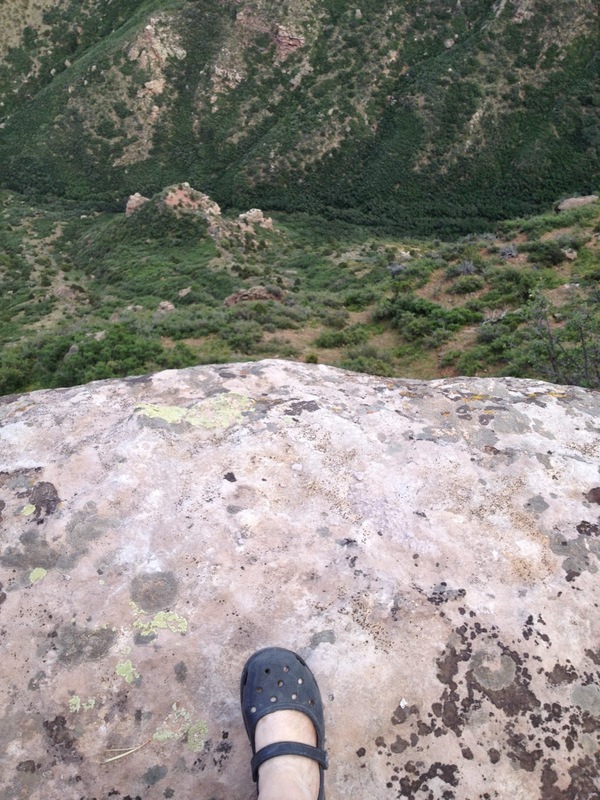 I couldn't get my foot to go out any closer to the edge. I hope that this shot gives a better idea of the drop at this point. Looking down toward Monument Valley, Utah. I have no photos for the next part of the journey, but it is certainly engraved in my memory. The road finally started going down but, if anything, it was far worse than going up. Picture a very narrow and twisty dirt road, covered with slippery gravel and broken rocks, with our Toyota inching along through the blind curves. To our right the road was overhung by those red cliffs that break off in car- and house-sized chunks. On the left side of the car, the cliffs fell off for what looked (to me) like thousands of feet. I couldn't see the bottom. By the time I was thinking that perhaps we should turn back, there was no longer any place to turn around. 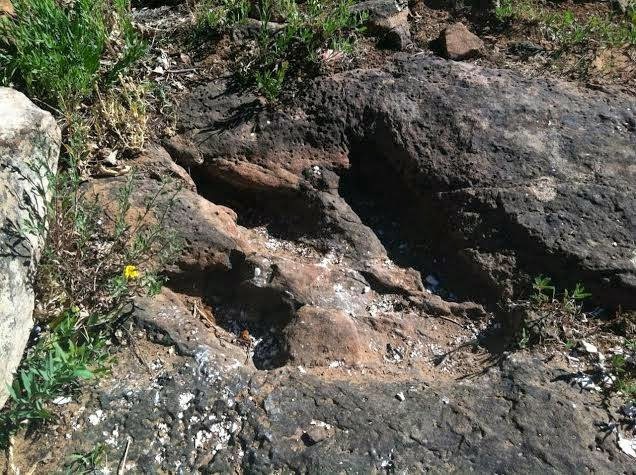 I wondered what would happen if we went over the edge and later read about a hiker in the canyon who found a smashed truck and the body of a man who had been missing for 26 years (that story can be seen here). 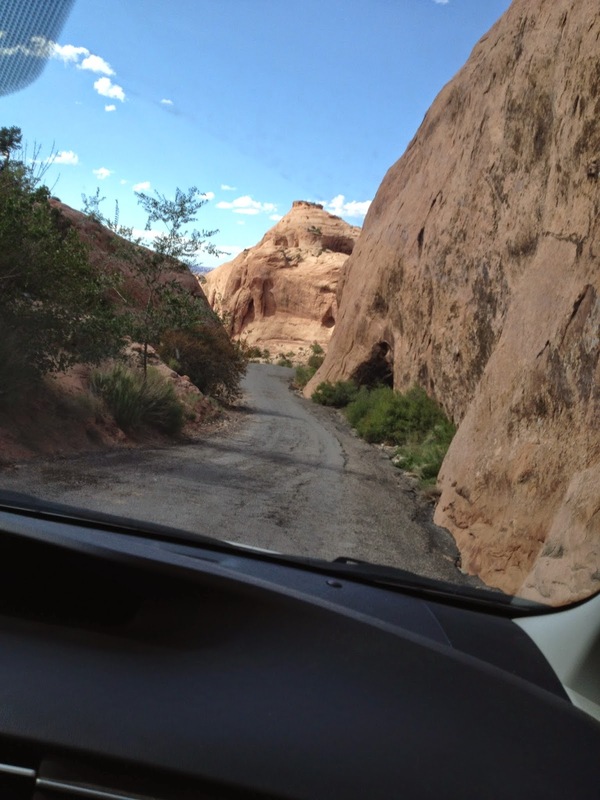 We eventually found ourselves winding through fantastically-shaped red rocks on the outskirts of Moab. Moab was the end-point of the big bike ride, and I shared some of the mixed feelings of regret and relief the bike riders must have felt at the end of their grueling journey. The 215 miles of trails they had traveled were amazingly beautiful and crushingly challenging for them. I have a huge appreciation for their accomplishment! 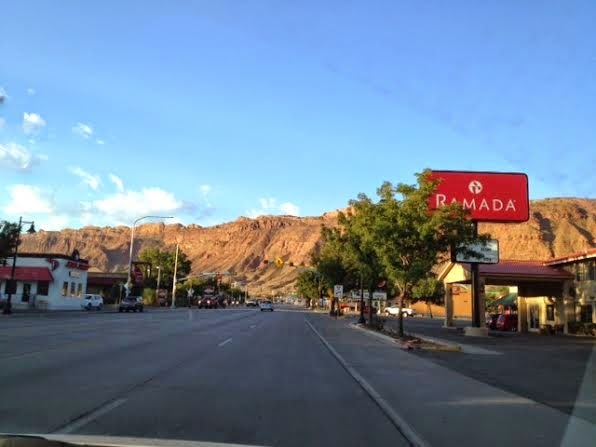 We spent a relaxing evening in town, had breakfast at the Moab Diner ("the best green chile in Utah", and it was! ), then headed out on the road for home. 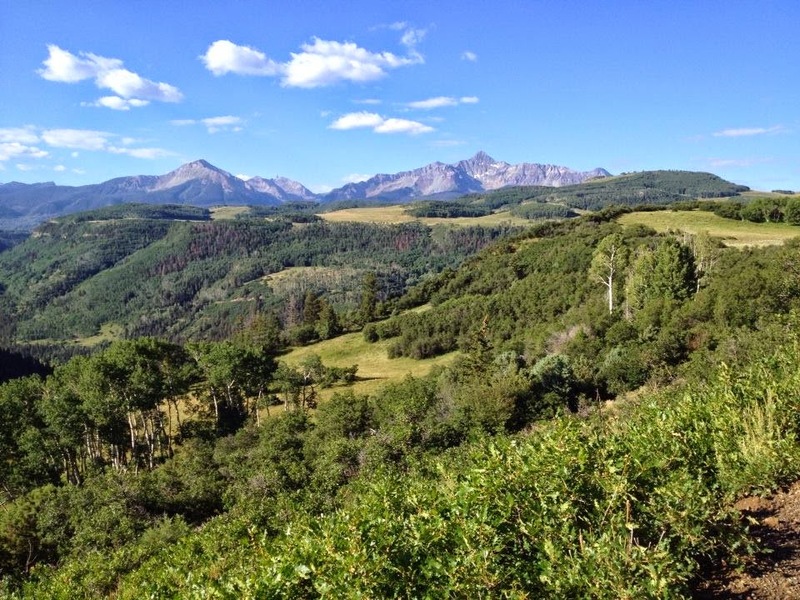 My husband and son recently went on the mountain biking adventure of a lifetime, riding the 215 miles of trails and secondary unpaved roads between Telluride, Colorado to Moab, Utah over seven days and six nights. They stayed in provisioned huts along the way as provided by the San Juan Hut System. You can read the trail descriptions, see daily mileage and altitude changes, and even sign up for a ride yourself at the system's website. Beez was so excited about the trip that he wanted to share it with me, so a couple of weeks ago we set out to retrace the journey, only this time in the Prius with nightly stays in proper inns and hotels. I was so impressed by what they had accomplished! where we dined on the patio. The service was terrible, but the people-watching was great! 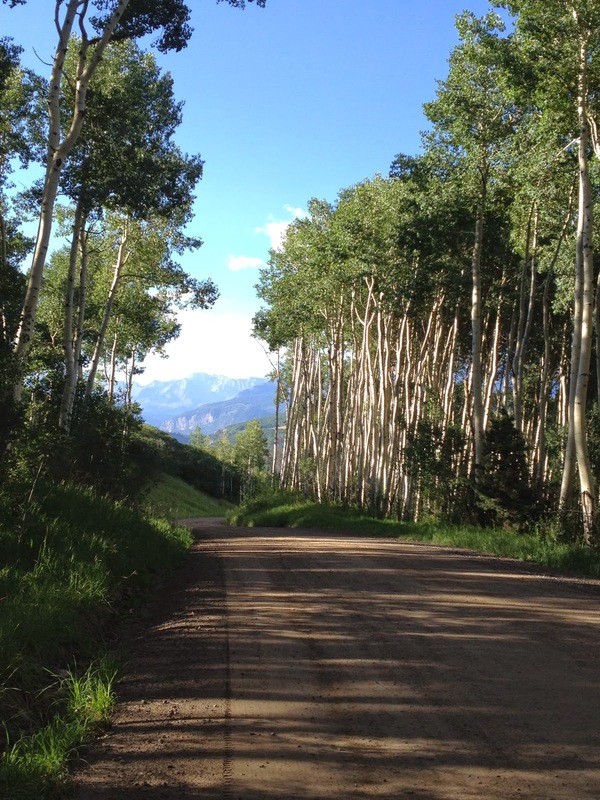 The next morning we drove the beginning of Last Dollar Road outside of Telluride. It was so gorgeous, especially to our parched desert selves. The rivers all ran with actual water! We don't have that in southern New Mexico where we live. 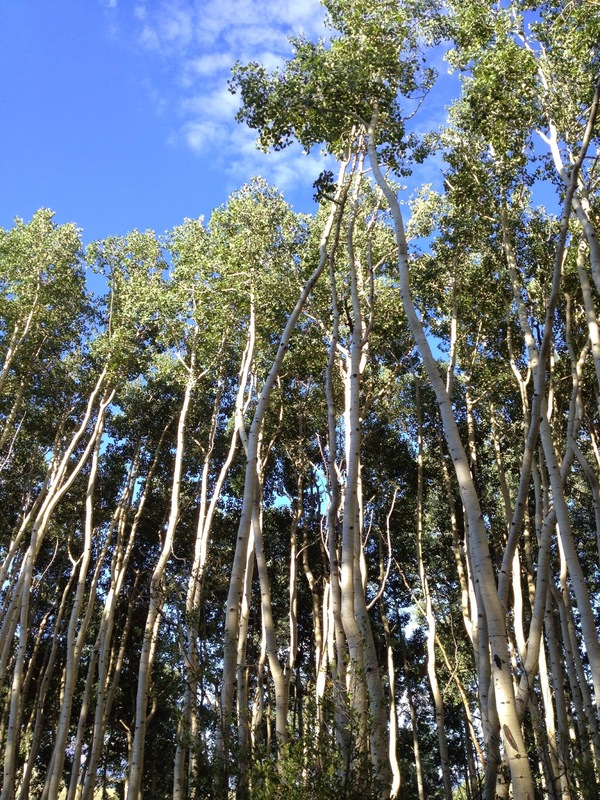 I was very taken by the light on these aspens. We didn't get much further than these trees. The road became muddy and very trail-like. We turned around and continued the re-created journey on the other side of the mountain. There were wide open spaces as far as the eye could see. This spot was absolutely silent except for the sound of distant hawks. 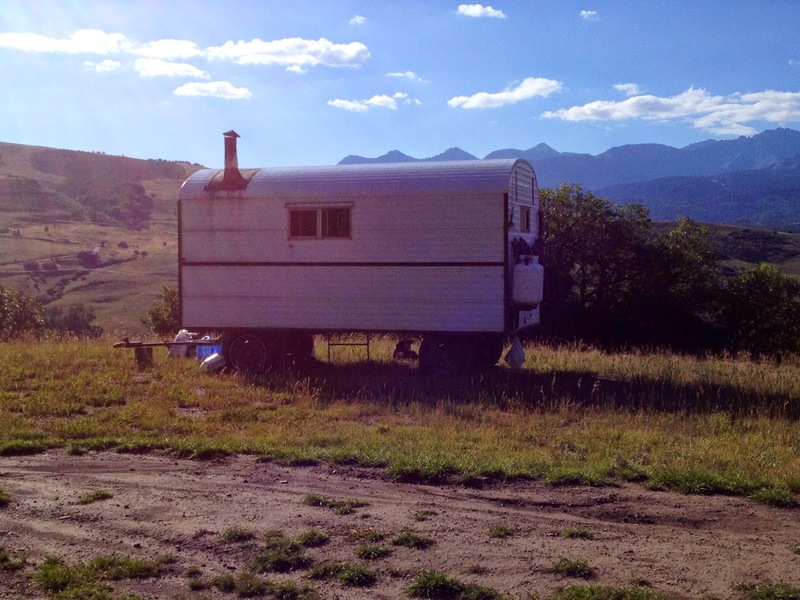 I was fascinated by the sheep herder wagons we saw now and again. At one end of this wagon, the shepherd had hung out his laundered clothes to dry, and his tools and broom were hanging up at the other end; underneath the wagon his working companion sheep dog was keeping an eye on the sheep below. 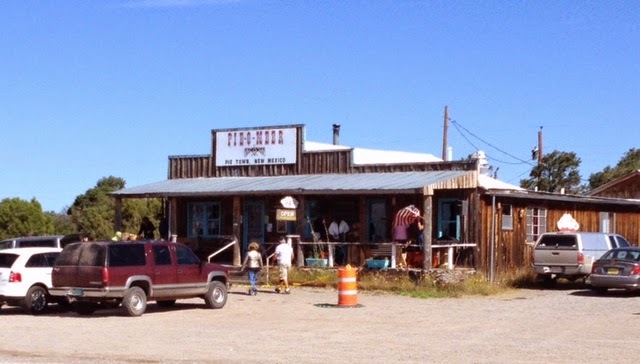 This was an old farm where some of the John Wayne movie, True Grit, was filmed. We stopped to look around and spotted a gigantic herd of sheep being brought down the mountainside across the road. You'll have to look hard to see the sheep, but they were moving beneath all the trees you see on the left, coming down to join the herd and then being moved up the valley by the clever sheep dogs. 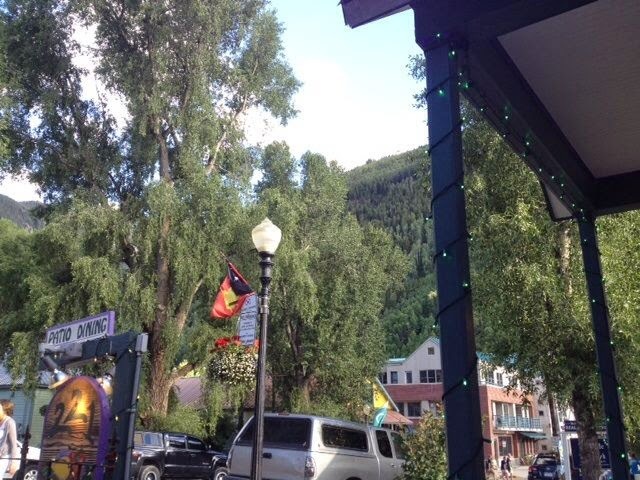 We stopped for lunch in Gateway, Colorado at the Paradox Grille, which is part of the Gateway Canyons Resort. That resort is a beautiful and very fancy place, indeed, with nightly rates in the $600 to $700 range. The Grille, however, was friendly and welcoming and we had a lot of fun chatting with the staff there about biking in the surrounding areas. I loved the landscaping at the Resort. I kind of like that bike-rider guy in the photo, too. 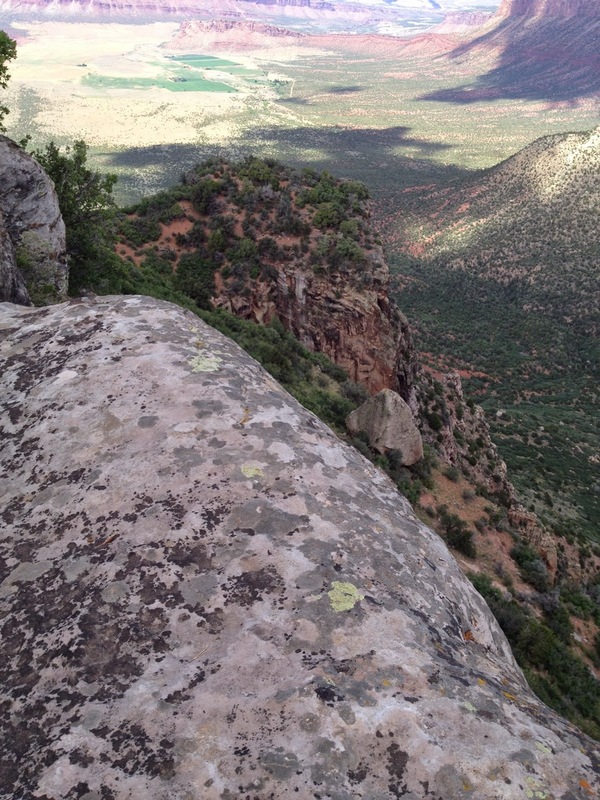 The views in every direction were of red rock mesas and mountains. 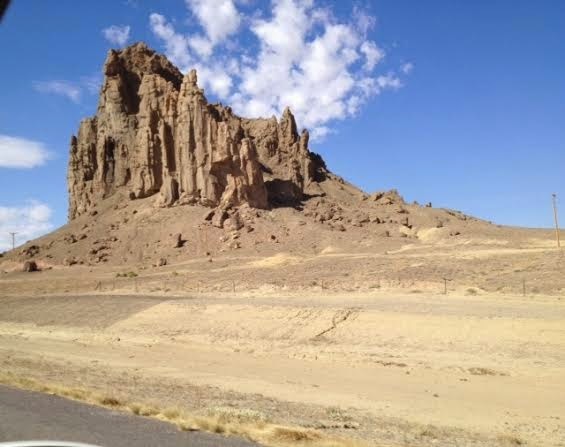 We had just traveled through the Unaweep Canyon to get there; it was so breathtaking that I forgot to take photos. You can see a photo here or here, or you can search Google images for more. It was a warm day and most of the Grille customers were inside, enjoying the air conditioning. As desert dwellers who don't mind a little heat, we chose to be out on this secluded little shaded patio so that we could enjoy the views and the birdsong. It was lovely, and we had the patio all to ourselves. 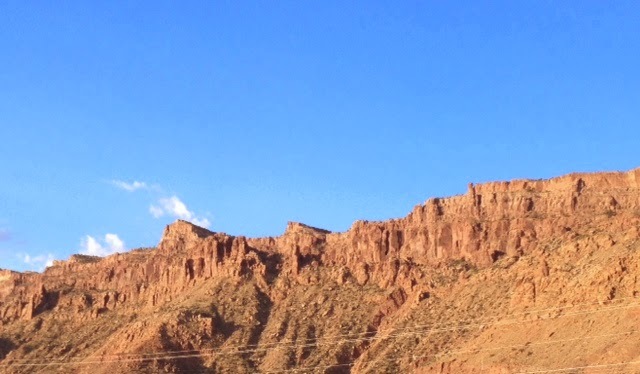 Next: John Brown Canyon--not meant for a car, I'm sure, but we did it! 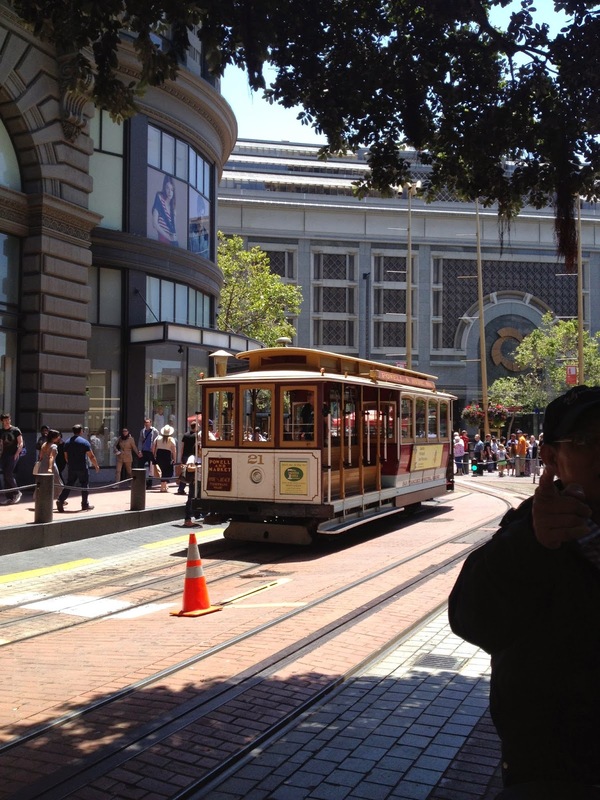 Because I spent part of my childhood living in San Francisco, I expected that our recent trip there would stir some memories, and it did. 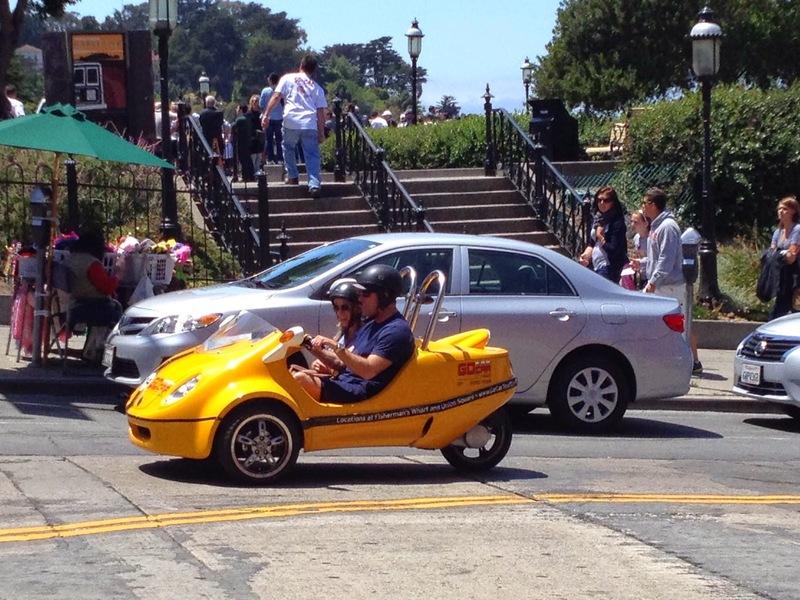 These little three-wheeled rental cars were a new sight to me. 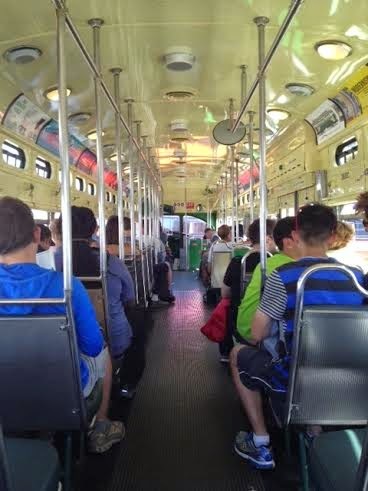 I loved having the chance to ride a familiar street car once again. ... as did this intersection. 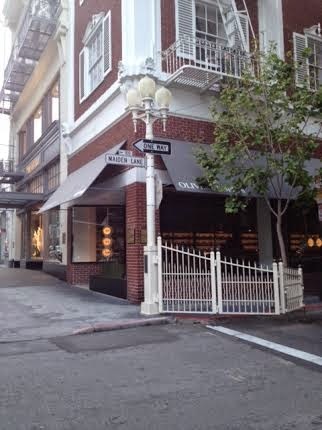 As we strolled back down Kearny Street to the hotel from our dinner at The Stinking Rose, the sight of that gate literally stopped me in my tracks. It was such an unusual sensation for me, but I had the strongest feeling that I had been in this exact spot before. 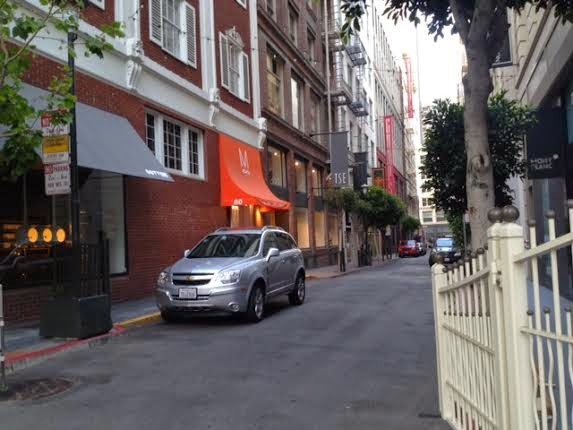 When I looked around a bit, I realized that I was standing at the entrance to Maiden Lane, where my parents had brought us kids to see Christmas decorations every year. I had no idea that the memory was stored somewhere in my brain since we moved from San Francisco when I was only 11, but there it was! Who knew that this happy street from my childhood had once been at the heart of the red-light district, and that, at one point, the area was experiencing a murder a day! However, enterprising merchants were determined to change it into a destination, and by the time I knew it, the Christmas decorations there were magical. Now it is an upscale shopping area with fancy boutiques, closed to auto traffic during the day. 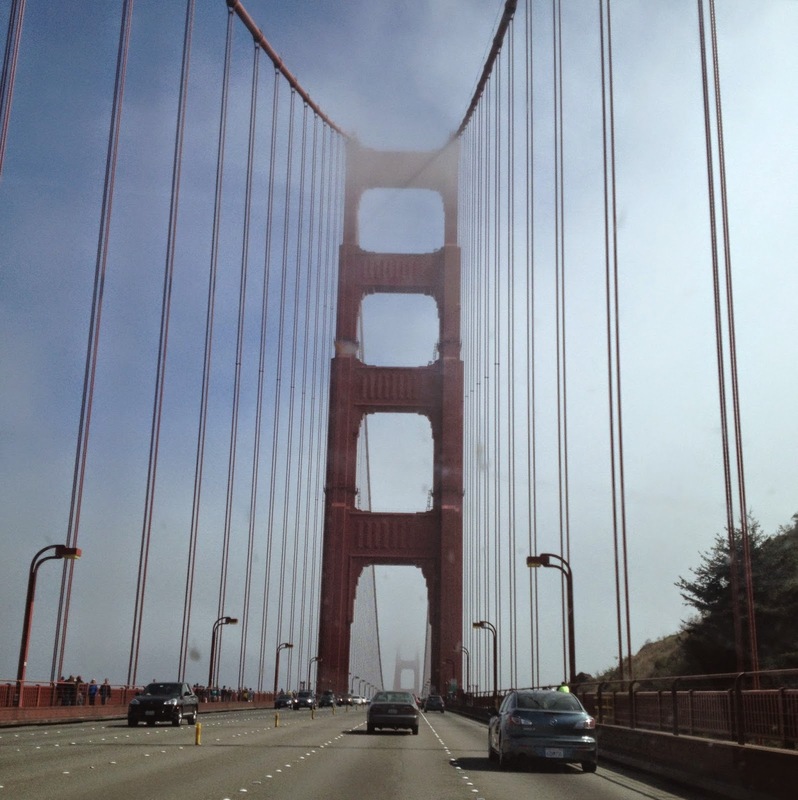 I loved our trip to San Francisco and feel so lucky to have lived there. Our little row house on 48th Avenue is still there in the Sunset District out by the beach. My parents sold it for $11,000 back in 1955. We could never afford it today! Who doesn't want to reek of garlic? 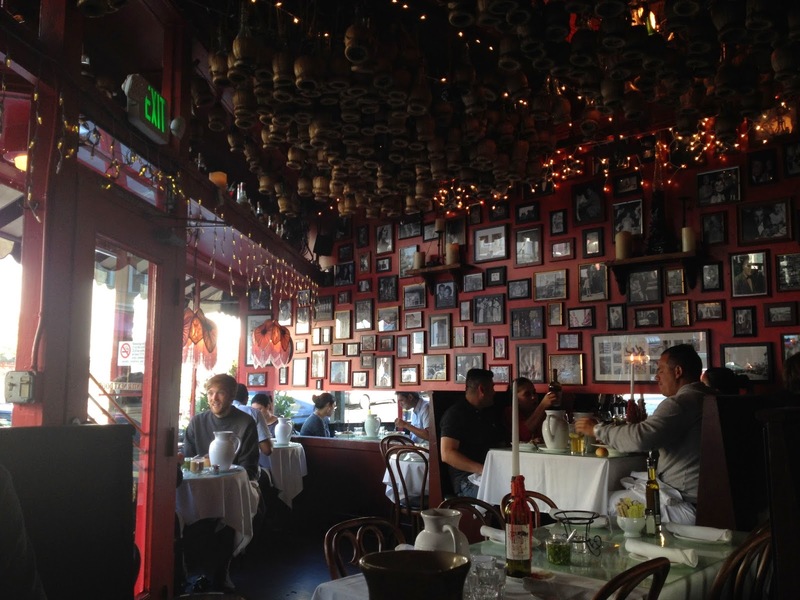 Our first meal in San Francisco is always, if we can manage it, at The Stinking Rose ("we season our garlic with food") in North Beach. Their website tells us that the restaurant has become famous for celebrating the culinary euphoria of garlic and serving over 3,000 pounds of the pungent herb each month. Named after an historical term for "garlic," The Stinking Rose offers scrumptious, contemporary California-Italian cuisine prepared and adorned with garlic. We walked the mile and a half from our hotel, and were soon digging into bagna calda ("garlic soaking in a hot tub") and neon ravioli. City Lights Books was just a few buildings away and we spent some time after the meal browsing the free-spirited selections in the famous bookstore founded back in 1953 by Lawrence Ferlinghetti and Peter Martin. On our very first date in 1980 (or so) Beez and I had discussed Ferlinghetti's poetry collection, A Coney Island of the Mind; Beez with his usual total recall and me figuratively trotting along, trying to keep up with his quick intellectual strides. 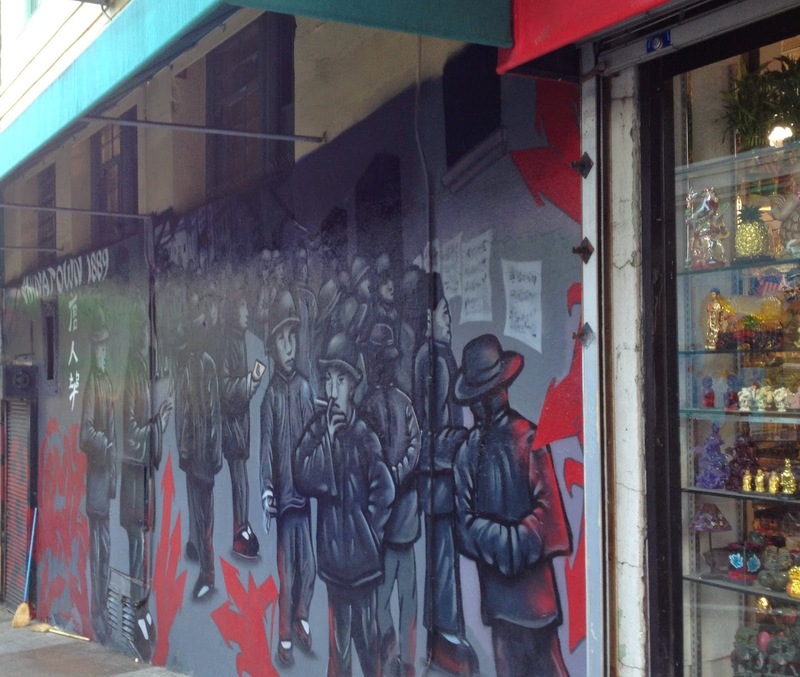 Of course, Ferlinghetti's shop has always been special to us. 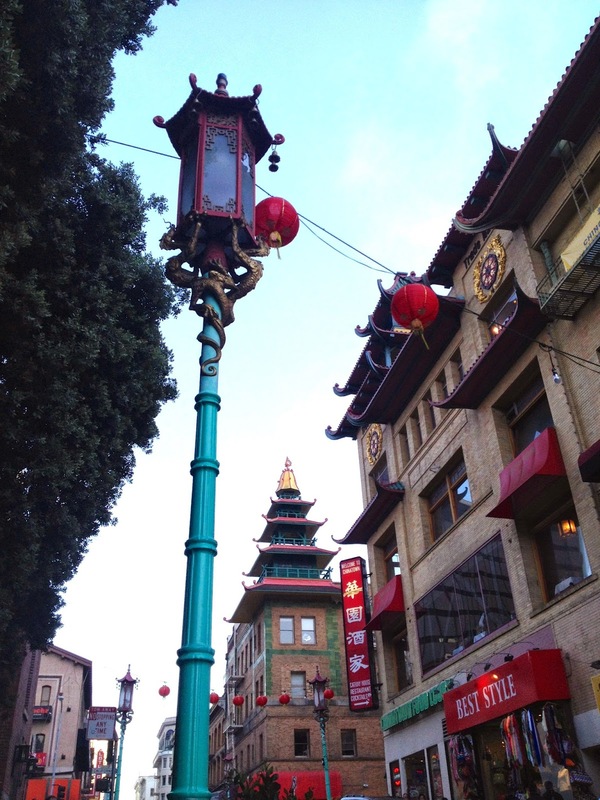 And speaking of trotting along, I did my best to keep up with daughter Dee and gym rat Beez on the (long) way through Chinatown back to the hotel. At the slightest hint of a hill I stopped to "take a photo" while resting up for the next block. 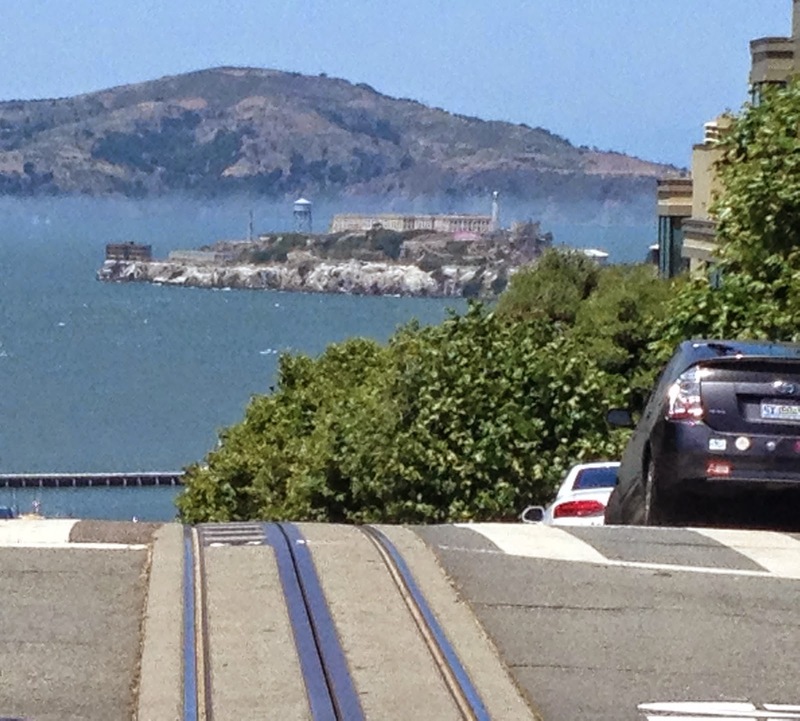 It irritated me that all those hours on the treadmill over the past six months didn't seem to translate to real-world San Francisco walking, but as my son Ben pointed out it would have been a lot harder for me to walk all over the city B.G. (before gym). 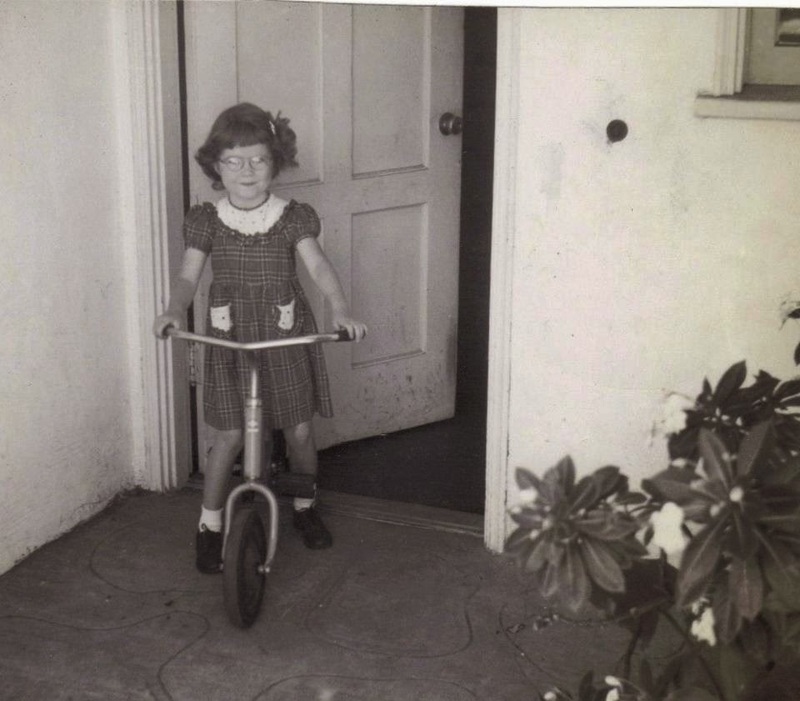 Although I was born in Maine, I lived in San Francisco from the age of 3 months until I was eleven. 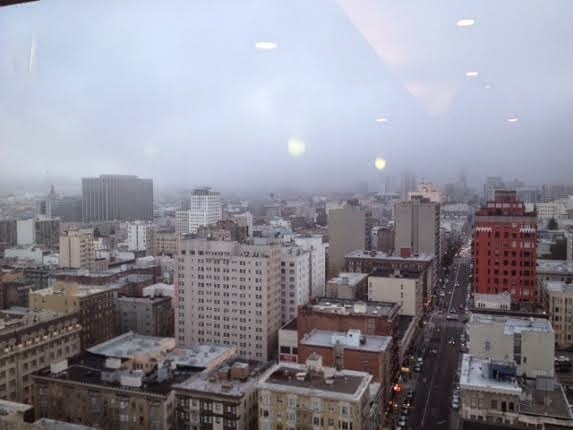 I had no idea that all sorts of forgotten foggy city memories were lodged deep in my brain. More about that next time.